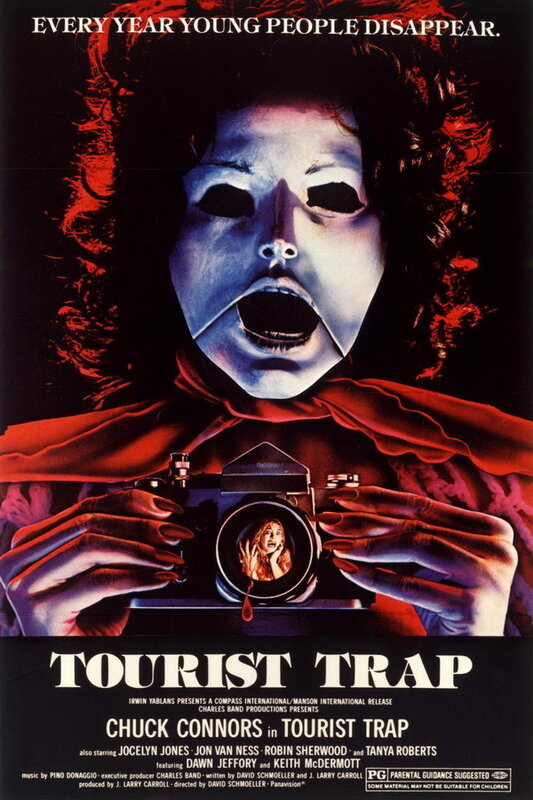 Tourist Trap font here refers to the font used in the poster of Tourist Trap, which is a horror movie released in 1979. The movie is about a group of friends who wind up stranded at Mr. Slausen’s museum, where the mannequins are very lifelike. The font used for the movie title in the poster is probably ITC Tiffany Heavy. Designed by Edward Benguiat, ITC Tiffany is a combination of two typefaces: Ronaldson and Caxton. You can view more details about the font here. The Tiffany font identified above is not available for free, please follow the link above and purchase the font. Meanwhile, you can take a look at our collection of fonts for cars, pop music and apparel as well as round-ups of new & fresh fonts around the web. In addition to Tourist Trap, Tiffany typeface is also used in the following logos, movie posters or album covers etc., including: The Future (Leonard Cohen).